My crafts tend to lean on the cutesy/girlie/feminine-side. But I've been wanting to make something for my darling husband (and prove to myself that I am actually hip enough and edgy enough to make something that he would actually wear). Ta da! 1. 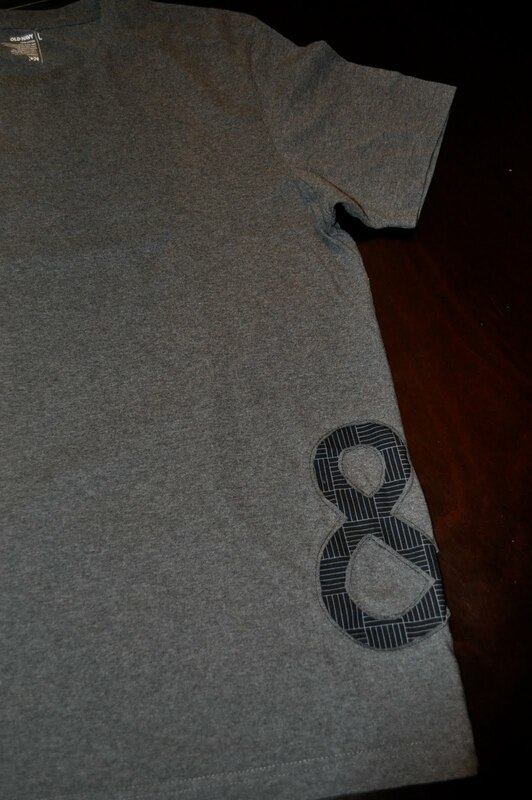 Print your design as large as you'd like it to appear on your garment. I used an ampersand, font = Arial, as large as I could fit onto an 8.5x11-inch sheet of paper. 2. Trace (or draw) your design onto the dull side of a sheet of freezer paper and cut out. 5. Stitch around the freezer paper design, but not ON the freezer paper. I went around twice just for security and I liked the look of several stitches. Pull off the freezer paper. Then - very carefully - snip away the t-shirt where the freezer paper once sat. This will expose your contrast fabric. Do not snip all the way to the thread line. Keep some t-shirt fabric "seam allowance" so that all your hard work won't start to unravel! 6. 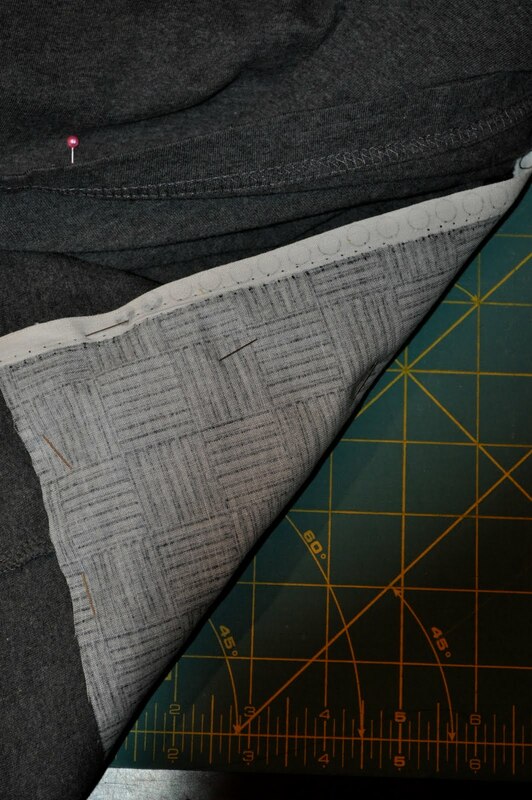 On the inside of the garment, snip away the excess fabric outside of the design to eliminate bulk. 7. And there you have it! Something cool enough for even my fashion-foward husband to wear. WOW!!!! I only thought to attach things to the top, not from underneath. ok another thing for my to-do list! This would be so cute to cut the image with big shot dies! Ok Teishi...First off, you're adorable! 2nd off, you're amazingly talented. I'm learning how to sew (through community ed) and Cardy just bought me a sewing machine. Apparently I need to be spending more time at your house! I really want to make the ruffle t-shirt - I may be calling you for help. Thanks for your cute blog!